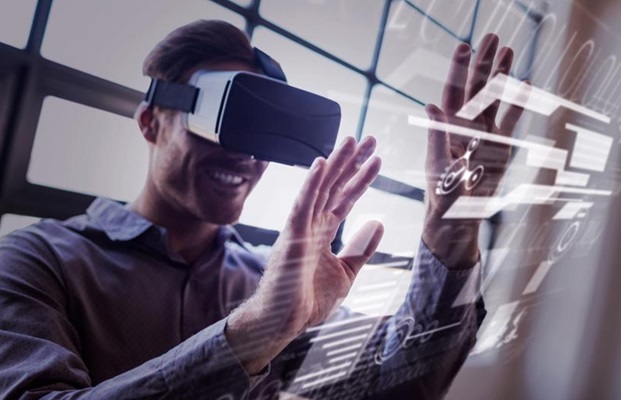 8 Ways to Make Use of XR Technology in Learning_ Extended reality (XR) is the combination of Augmented reality(AR), Virtual Reality (VR) and Mixed Reality (MR). These are extensively used in learning industry today because the world needs new technology to build its content in the most creative way. Here are the ways by which XR can become useful invention in the life of learners and innovators. When it comes to learning or training an individual, safety is the main concern especially in Chemical, Energy, power plants, pharmaceutical industries. In these plants practising with the real plant may be hazardous. So VR is the biggest tool, that could be used here for safety purpose. Teleportation: Creating history is always better than repeating it. I can send learners to the ancient world to make them understand the monuments, culture and to make them experience actual ancient life. This would be the good experience for all the Travelers and archaeologist. Study of Danger animals: Learners can study various animals who are rare on Earth and dangerous. This would be safe everywhere. For Example Underwater animals including Shark, whale, etc. It is not ideal for getting knowledge about wild and dangerous animals, it could be an ideal way to know about their physical body, bones, brain, internal parts, nervous system etc. This is also applicable for studying human brain and body. A virtual instructor: Instructor/ Mentor in the different country can guide his students with the help of Holograms. For this purpose, a couple of cameras and MR Devices like Microsoft Holo-lens and Meta 2 can be used to project the whole class onto the Instructor's MR Device and vice versa. Fr example: Teacher sitting in Mumbai wants to tell his students of Bengaluru about NEET 2018 Exam, So he would take help of MR Devices. It will build his focus on the students and students will be easily engaged in his class. In reverse, if students want to take the suggestion from their faculty abroad about Top B.Tech Colleges in India, then Virtual Instructor will become the key tool in guiding them to take admission in best college. AR in Books: We can design an AR application which will recognize images in the book, and trigger an app to play related videos. For eg: If the student wants to learn about Hiroshima Nagasaki attack, he can trigger the app to show the video of the attack and make him understand it in the better way. AR as an instructor: If you want to install air cooler, then AR using Smartphone ma guide you completely about step by step process of installation, until you are done. This is the cool way of learning new gadgets and you don't need any technician for that. Helpful for Public speaker: Speaker can notice his body language, facial expressions while speaking in public. So they can improve their appearance accordingly and can prepare their speech in the better way. Lab experiments: It is the Best way to learn Laboratory experiments, especially Chemistry lab, where each and every step performed by AR will help a student understand the whole process in the better way. In the physics lab, after scanning the apparatus, students can know how and where to use 3D Graphics on Smartphone screen. In Biology lab, AR will help the student to know the actual time period of species when it existed.